It seems like it is often wine o’clock at Custom Trip Personalized Trip Planning Services, right? Nothing wrong with that! We love to travel, we love to explore new places, we love to save money while doing it all so we can get as many trips for as little cash as possible. We know the best flight deals, best hotels/hostels/apartments and places to visit, but we recently learned where the best wines are too. We love wine and because of it we decided to dedicate a special page just for wine and Wine Enthusiasts. The older the wine, the better it tastes. The older the cellar, the more history and mystery behind it. But today we would love to introduce you to a relatively new wine cellar specializing in premium, international, sweet, sparkling and other great wines — The Cellars Wine Club. The Cellars Wine Club is a family owned private club that offers the best wines one could find in the United States. Comfortably situated near Seattle, Washington the club’ story begins when the current owners share their love for each other with their love for wine. Their mutual experience with wines, entrepreneurship and creativity led them to opening the Cellars Wine Club. Don’t settle for any less quality of a wine than the ones offered to Cellars Wine Club members. Join today! 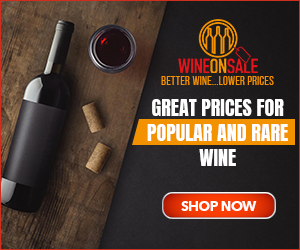 Their wines show experience in taste and thoughtful selection from the wine club’s team members and offered to you, frequently, at a discounted price. It is impressive to see how much effort those folks put in and how they often go the ‘extra mile’ to find rare vintage wines that you probably have not even heard of yet. So, allow us to introduce you to some of their best offers. Next we have … another royalty of wines, but bit lighter in color. “And I am Ms.Chardonnay. I come all the way from South East Australia. Many don’t like me and they like to talk bad about me, but that’s because they don’t understand nor appreciate me. I am suitable only for the most experienced of wine lovers and perfect for the hot summer Australian days. It takes courage to get to know me, but loyalty afterwords is guaranteed”. Their premium wines are starting as low as $42 delivered — you definitely can’t beat that price! Being focused on quality and rare wines, the Cellars Wine Club offers you a rich selection of international wines. You can get two bottles for a very decent price and experience wine that is hard to find in the U.S. at a very affordable price. If you are up for a nice surprise, then enjoy a hard-to-find international wines of the month with Cellars Wine Club! Joining the Cellars Wine Club not only gives you access to premium, international and sweet wines, but also to natural wines, which (let’s be honest) are a true gem to find. One of their most popular natural wine comes from Portugal — yes, you get a combo of international+natural wine — the Prunus. We definitely put this rare wine on our “wine list” and you can do the same by joining the Red Wine Cellars Wine Club today. We hope this brief introduction of the Cellars Wine Club helped you appreciate the hard work those folks do daily to bring the best of wines the U.S. market has got at an affordable price (most of the time includes delivery door-to-door). You can easily become part of it (no special requirements) by offering monthly wine packages as low as $29 today.